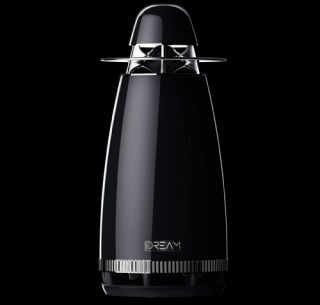 Dream Audio launches Dream One multi-directional wireless speaker | What Hi-Fi? Yes, it’s another wireless speaker, but this one looks like a Dalek’s kettle. The Dream Audio Dream One is a multi-directional speaker that boasts a wide variety of connections: aptX Bluetooth, WiFi, DLNA, AirPlay, USB, and 3.5mm analogue input. Launched at CES 2014, the Dream One has a 2in aluminium cone, a 4in paper cone subwoofer and a 5in passive radiator. The highlight is Dream’s proprietary ‘Sound Array Module’, essentially a waveguide that helps to disperse the sound evenly around your room. In theory. Upon set-up, the Dream app can initiate a spatial test tone to calibrate the sound based on the speaker’s surroundings. You can also connect a second Dream One unit to create a stereo set-up in a similar fashion to the Sonos Play:1 speakers. The Dream One multi-directional wireless speaker will launch worldwide in Q3 2014 for $599. We'll keep our eyes peeled for a UK release date and price.